Poems based on themes from the world of meditation, social and ethical values, the biological nature of things blended with poetic, reverential awareness of the natural world. 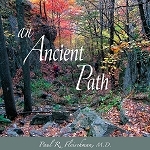 The author offers us a poignant look at the realization of impermanence where suffering and joy meet. "...All we have is love and intermittent equanimity. In a world of patterns and impermanence. Anenomes, geraniums, and fading human faces in the mirrors of my mind." "...In the deepest meditation, edges disappear, All memories become rounded by charitable acceptance, All turmoil subsided to undulating rivers washing over beds of rounded stones. Rushing towards open seas are poems of remote and exquisite peace." "...Let us surrender our life with calm, dignity, and gratitude for what we've had, not dismay about what is passing. Until then let reverence be our guide to becoming citizens for the new age of earth.Even if we don't let all of these things happen, let them happen anyway." For the love of all things...speak up! The complex relationship between the rhythms of the natural world and the activities of the human mind are Fleischman's subject. Describing the poet as a force of nature, he suggests using meditation and mindful observation to achieve “a remote and exquisite peace.” Whatever happens in “the flux of matter we call world,”don't surrender to dismay. These are active poems, intinmate and thought-provoking, not something to drowse over. They inspire us to answer the call of the wild: for the love of all things...speak up! The Pali Canon is not unlike other collections of sacred writings, full of uplifting messages through the medium of poetry. Readers familiar with the Dhammapada, Udana, and Theragatha, for example, will recall entire books of spontaneous verse conveying the most profound aspects of the Dhamma. 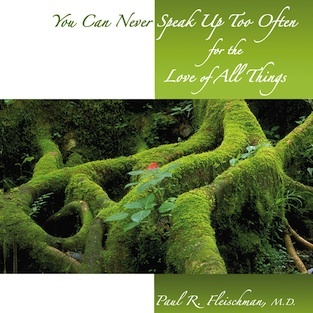 In You Can Never Speak Up Too Often for the Love of All Things, Psychiatrist and Vipassana teacher Paul Fleischman follows the lead of these early practitioners whose enchantment with the landscapes of the natural world and the human mind often overflowed into evocative speech. The writing is honest and intimate, suggesting loving-kindness in direct response to the conflict and suffering at the heart of the human experience. Detailing his experiences in Canada, Costa Rica, India, New England, and Peru, Fleischman provides a delightful background for his appeal to realize kinship with and reverence for all life. I can never speak up too often for the love of this book; Paul's poetry gently hurls the listener far away while pulling him/her deeply within, often causing moist eyes and half-smiles.